End-of-life planning is a difficult but necessary process. It’s important to consider what you’d like to happen with your assets after your death, how they will be distributed, and to whom. Through estate planning, you can create a legally-binding plan that dictates your wishes and entrusts certain people with the responsibility of seeing those wishes through. Estate planning requires extensive legal experience, and the support of an experienced estate planning attorney is typically advised. These professionals can walk you through the process from start to finish, compile and file documents, and ensure that your wishes are protected by the law. Here are some of the many roles and responsibilities that an estate planning attorney can complete. Your estate planning attorney is an important member of a larger team of professionals that might include your accountants, investment advisors, and insurance agents, among others. An attorney can work with these team members to support your estate planning needs. They may choose to organize and conduct meetings with specific people. They may also get in touch with your accountant to file tax returns, update business entity documents, and ensure that other necessary changes are made. An attorney understands what needs to be done and who can be called on to complete tasks, saving you the time of learning and organizing the necessary collaborations yourself and allowing you to focus on other pressing matters instead. To ensure that your property and other assets are distributed in a legal manner, an attorney can analyze records and titles to ensure that they are clear and able to be transferred to your selected beneficiaries. This process can include advising on pre- and post-nuptial agreements, marital property agreements, and marital settlement agreements after divorce as well. With the help of an estate planning attorney, you can address any concerns that arise related to your property — such as unclear property boundaries or previously undiscovered liens — and help you solve them before they cause even more problems for your family after your death. Despite your most ardent wishes, what you’d like to happen to your assets may not be legally possible or may cause additional and unnecessary stresses. 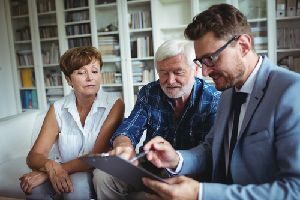 An experienced estate planning attorney can point out these issues and work with you to find alternative solutions that accomplish the same goal in a more streamlined manner. They can also advise you on other end-of-life choices, such as financial and medical directives, organ donation, disposition of remains, and similarly important decisions that you may not be able to deal with later on in life. Without an estate planning attorney’s assistance, you may find yourself setting your family up for more financial hardship as the result of poor planning and research. Estate planning attorneys understand that there are often several beneficiaries involved in the asset distribution process. To make this process run more smoothly, an attorney can advise clients about how to best provide for beneficiaries with special needs, educational requirements, or other considerations. The attorney can also create a plan for meeting philanthropic goals and include charities or other organizations in your estate plan. This ensures that each person or entity is actually able to receive the assets you would like to leave them without going through a time-consuming process of their own to do so. 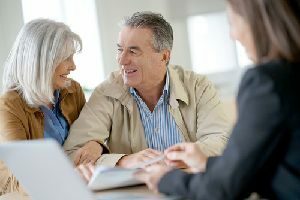 An estate planning attorney can also confirm that you have enough assets to meet the needs of each of your beneficiaries in the most equitable manner possible. Once you’ve decided how you’d like to distribute your assets, created a plan to ensure these wishes are met, and involved the necessary professionals, you can begin finalizing your estate plan. An estate planning attorney will draft documents that clearly outline your wishes so that others understand how to handle your assets after your death. An attorney will also help their clients move assets into the proper entities to facilitate distribution, such as trusts, and ensure that insurance policies, retirement accounts, and similar accounts list the correct beneficiaries. This final step in the estate planning process formalizes your decisions and sets your beneficiaries up to receive their portion of your assets without delay. Speak to the estate planning attorneys at OFP Law for more information about estate planning and how an attorney can assist you. The firm’s attorneys have years of experience in developing estate plans to meet the needs of their clients and can work with owners of businesses, corporate executives, and other professionals to establish their personal estate plans. 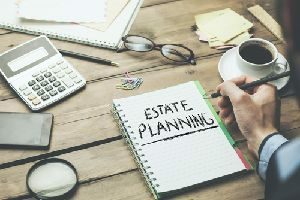 In addition to its estate planning services, OFP Law can also represent fiduciaries in the administration of trusts and estates and litigate matters resulting from estate and trust concerns, if they should arise.